Do you want a life-changing TRANSFORMATION in 2013? Are you ready to MOVE from fears, failures, and frustrations to EXHILIRATING FREEDOM? 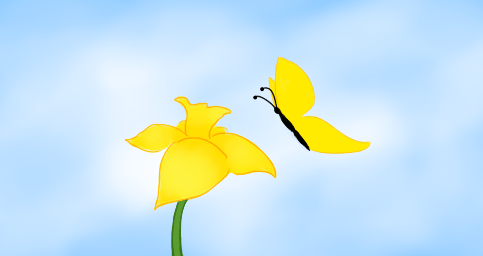 Is it time for you to BREAK OUT out of your safe but confining cocoon and FLY? Beth Jones is an International Speaker, Author, and Life Coach. Beth resides in Kansas City, MO, with her husband Ray and has three beautiful daughters. Beth’s mission is equipping women to hear God’s voice, unlock their gifts, and pursue their passion. From the moment she takes the stage, you can feel Beth’s passionate, sincere devotion to Jesus Christ. Her direct, tell-the-truth-like-it-is style, combined with a heart of compassion and humor, appeal to audiences large or small. The most frequent words given in audience feedback for Beth’s presentations are “intense” and “real.” Beth will be serving as Emcee for the conference. 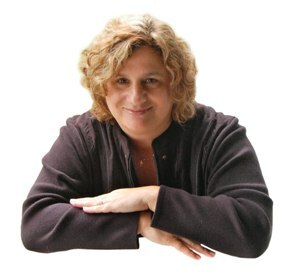 Doreen Penner is an Inspirational Speaker, Author, and Coach for Women Solo Professionals. 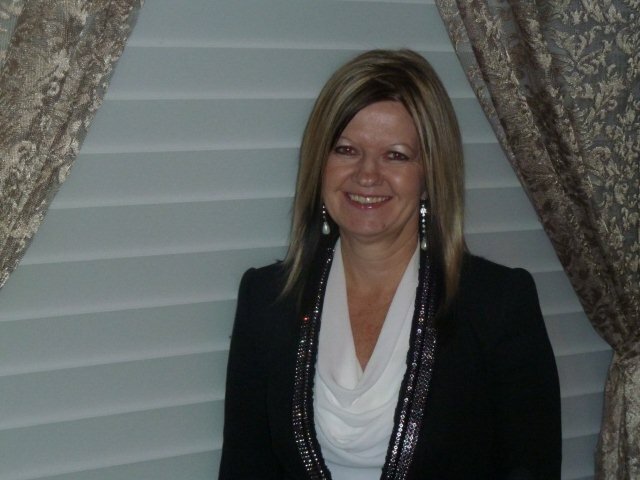 Doreen resides in Manitoba, Canada, with her husband Rick and two precious children. Doreen speaks to her audience with enthusiasm and sincerity. Her talks and workshops combine both her real life experiences and motivational message. She delivers practical, easy-to-apply information that will help you make significant life changes when you “connect purpose to possibility.” Doreen helps you to see your true value and unveil your INNER GEM, the REAL power behind your business that will make you shine and stand out in your own brilliant way. Rochelle is an Inspirational/Motivational Speaker, Author, Humorist, and Spiritual Health Coach. Rochelle lives in Nashville, TN, with her husband Tony and two precious sons. She founded Reflecting Excellence Ministries in 2000. Rochelle has been seen on Christian television such as Woman to Woman With Ruby Nelson and Sunday Night Live with David Croyle. She enlightens women with Biblical truth to achieve healing and spiritual health through God’s unconditional love. In 2012, Rochelle was involved in an almost-fatal car crash and had a miraculous recovery. She knows and shares with you that you won’t leave this earth until your God-given purpose is accomplished. Helen Reimer is a Toastmaster Award-Winning Speaker, Author, Interior Decorator and Philanthropist. Helen resides in Randolph, Manitoba, Canada with her husband Dan. She is a mother of two precious children and a proud grandmother to baby Micah. She is currently writing her life-story. Helen has the gift of influencing others. The traumas and betrayals of her childhood could not hold her down to become bitter toward God. Her realness and honesty will stir you to tears and laughter as she shares her heart-wrenching story of how God brought her from Victim to Personal Empowerment. She wants you to experience it, too! The moment Helen takes the mic, you will sense her instant anointing to speak and minister into the hearts of women. Karen Wells holds a Master of Divinity with a major in Marriage & Family Counselling. She’s the founder of Karis Counselling Services, with one aspect of the counseling service devoted to helping women regain the power they’ve lost because of a past traumatic experience. Karen wants to give women HOPE. Life is too short to be stuck in your past. She wants every woman to know God has exciting plans for them. Karen and her husband, Simon, provide marriage counselling services. 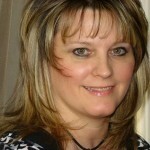 As a globally-minded woman, Karen offers her services by telephone, Skype/webcam, and webinar. She hosts her own live call-in counseling radio show. Karen facilitates workshops, speaks, and writes. Her two books are entitled Even With My Knees Knocking I Will Follow God’s Call and UnHooked! 7 Steps To Emotional Freedom. Attempted suicide at 14, sexually assaulted as a teenager, told she wasn’t good enough to sing at 18, struggled with eating disorders in College, abused by a boyfriend at 22, saved by grace at 24, broken hearted and desolate at 30, fulltime Minister and Recording Artist at 32, delivered by the Love of Christ! A dynamic singer, speaker, educator and author, Dr. Naima Johnston Bush uses her artistic gifts to communicate the love of Christ across the nation. 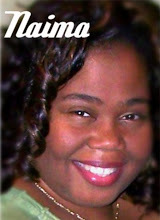 Naima has produced two albums and is the author of several books. Naima holds a BA in Sociology/Women’s Studies from Ohio Wesleyan University, a Master’s Degree in Higher Education and a PhD in Education from The Ohio State University. Naima is the founder of Broken Box Ministries, an organization with a mission to empower people to achieve their God given dreams using the arts and education. Naima is a licensed minister with Life Fellowship International under Pastor Tim Winton of Noblesville, IN, and is married to Minister Jon Eric Bush. Your much needed time to get away from it all! Vendor tables with books, cds, and more for you to shop! We welcome women from across the U.S., Canada, and other nations to the heart of America! *LUNCH. A catered lunch, including drinks and dessert, is included with your registration fee. *HANDICAP ACCESS. Belton Wellness Center does offer handicap parking and handicap accommodations. *CHILDCARE. We moms love our precious children. But this is an all-day women’s conference, which may prove tiring to young children or babies. We encourage moms to leave their children at home with dad or a trusted childcare provider, so mom can just get away from it all and experience the refreshing benefits of this conference. *PARKING FEES. There are no parking fees. Belton Wellness Center provides several parking lots, including handicapped parking, near the front door. *AIRPORT. If you are flying into Missouri to attend the conference, the Belton Wellness Center is about 52 minutes (48 miles) from the Kansas City International (MCI) Airport. Directions provided in your final welcome email after payment. *HOTELS. There are many exciting places to stay and visit in Kansas City, MO. However, Belton doesn’t offer a variety of suitable hotels. You’ll be given a list of possible hotel accommodations in your final welcome email, in Overland Park and Lee’s Summit, MO. Overland Park is about 40 minutes to the Belton venue. Lee’s Summit is about 30 minutes to the Belton venue. You’ll need to book your own hotel accommodations for this conference. *DRESS. We want you to wear what you’d like and to be comfortable all day. Casual to business casual attire. Missouri weather in April is unpredictable, but usually warm and sometimes windy and/or rainy. You might bring a sweater, light jacket or a coat in case weather or the meeting room is chilly. *REGISTRATION AT DOOR. Registration fees will be accepted at the door, IF seating is available. However, we urge all women to register ONLINE as SEATING IS LIMITED TO 50 WOMEN and you want to be sure to SECURE YOUR SEATING. No Early Bird Prices at the door. *RECORDINGS. We will try to have all speakers’ sessions recorded to be made available later. *VENDORS. Our speakers will have vendor tables to sell their books, cds, jewelry, and other products so you can enjoy a little shopping at the conference. *SPONSORS. If you or someone you know would like to be a sponsor for this event, contact Beth Jones at elizabethdjones@gmail.com. A list of our sponsors is at the end of this page. *SMOKING. Smoking is prohibited inside Belton Wellness Center. You may smoke outside in between session breaks. All alcoholic beverages are prohibited inside and outside Belton Wellness Center. *PETS. We women dearly love our furry babies. However, no pets are allowed inside Belton Wellness Center and our conference meeting room, except for service animals. *PRAYER. Our desire is for you to be encouraged, blessed, and ministered to at our conference. The RELEASED! Women’s Conference team staff will be happy to pray with you privately any time throughout the day. Seating limited to 50 Women! Will you be one of the 50? *50 women who SOAR in 2013! To sign up today, register by clicking on the Paypal button below. IMPORTANT: After payment, please click on Beth Jones’ website/ email address at Paypal so you’ll be taken to the welcome page. You will need to opt in with your name and email address and confirm your subscription by email for your registration to be complete. Refunds given only for emergencies. No refunds given if you attended the conference. Please contact Beth Jones at elizabethdjones@gmail.com. If you have any questions, email Beth Jones at elizabethdjones@gmail.com. To save your seat, just click on the Paypal Add to Cart Button below! To learn more about being a Sponsor for this event, click here. For sponsorship opportunities, email Beth Jones at elizabethdjones@gmail.com.